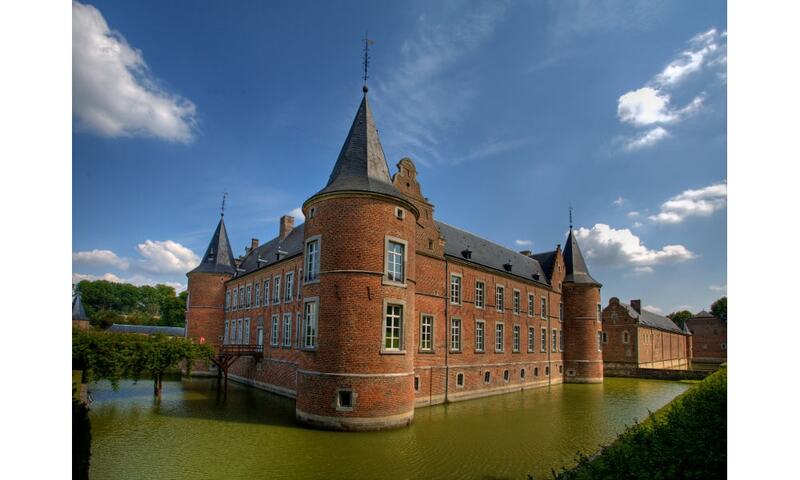 The knights of the Teutonic Order founded the commandery of Alden Biesen in the 11th century, but the current castle was constructed between the 16th and 18th centuries. It was the headquarters of a province of the Teutonic Order in the region of the Maas and Rhine. On 8 March 1971 the building burnt down and was acquired by the government and restored. The castle is used today as a cultural centre and conference centre. In addition to the moated castle, the complex contains a church and gardens.